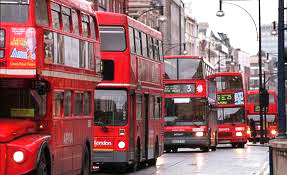 Catchy indie pop songs are like London buses. You wait ages for one to come along and then two arrive at once. It’s virtuoso when such indie pop songs are toe tapping in rhythm, totally befitting the buzzed-up summer vibe gripping Britain at present. However, as is always the case with British indie pop groups, the music videos for such songs often veer from inspired to downright pathetic. At a time when Glasgow’s Franz Ferdinand seemed to have slid into by the numbers indie inertia, pretty much everyone is taken aback by how energised and young their new song sounds. Right Action brings to mind the triumph of Take Me Out, which was an enormously successful breakout single taken from their eponymous debut album that seemed to win every music award going back in 2004. Franz Ferdinand is that rare thing in modern music: a bunch of intellectual art students who mesh their adoration of cultural history with British pop music. The video incorporates cubism, Dadaism, Russian avant-garde and Monty Python surrealism, creating the kind of clip that will court raised glasses from pretentious culture vultures everywhere. London’s indie electro maestros Hot Chip takes the art of music videos really seriously… at least they did till now. Dark & Stormy is a one-off single, a standalone effort made to mark the transition from their last album and whatever comes next. Therefore, it’s mightily disappointing that the group couldn’t even throw in a few rudimentary moving images to accompany what is a brilliant track. Dark & Stormy is some of the best music to have come out of Britain this year and deserves to have a heck of a video to do it justice. It’s at times like this one wishes I knew how to utilise the entry level editing software that came with the computer.